No other receiver on the market today has as many advanced features as ours. We offer the latest technology packed into the smallest, most lightweight professional receiver collar in the market today. 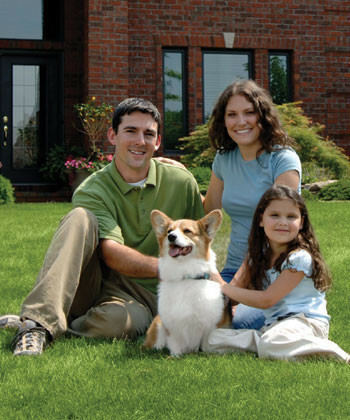 Its range of settings and programs make training easier for you and your pet. Professional trainers across the country agree – our professional receiver is the smartest choice. A nightlight in the receiver so you can visually monitor your dog at night from a distance. A remote training collar feature for off-leash training. Access to thousands of programming options for special circumstance corrections. 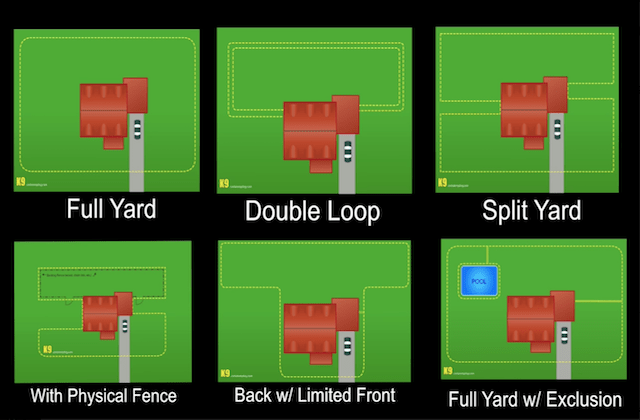 Simple training level adjustments during the SafeYard® training period. Reviewable history of corrections and warnings so you can monitor the progress of your dog’s training. Battery level monitoring so you can know when it’s time to recharge the battery before you dog knows. Help with searching for a misplaced collar by using special features. The increasing stimulation encourages your dog to return to the safety of his yard. 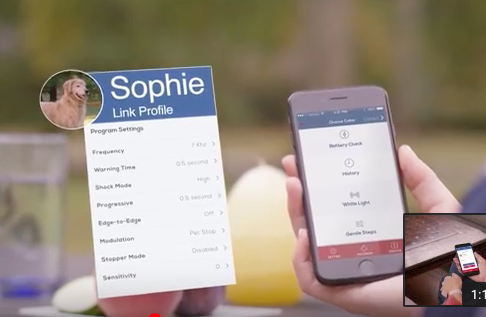 This feature allows our products to give your pet far LESS stimulation than competing brands, while still maintaining your pets’ safety and your peace of mind. Triple-Zone option that automatically increases the correction should your pet attempt to run-through the boundary. Advanced digital technology (Digital Modulation) ensures your pet’s safety and your peace of mind. Just as your cell phone can’t ring unless someone is calling, neither can our collars falsely activate in front of TVs, microwaves or other electronic devices. In fact, our digital signal is modeled after the same signal technology and encoding used by the FAA for air traffic control. 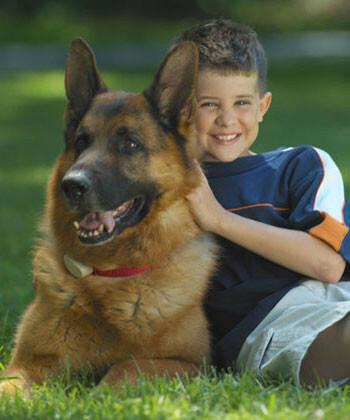 Advanced digital technology (Digital Modulation) ensures your pet’s safety and your peace of mind. For your peace of mind, we offerOver-Correction Protection. This exclusive feature automatically interrupts the stimulation after 20 seconds in the unlikely event your dog becomes “trapped” in the correction field. 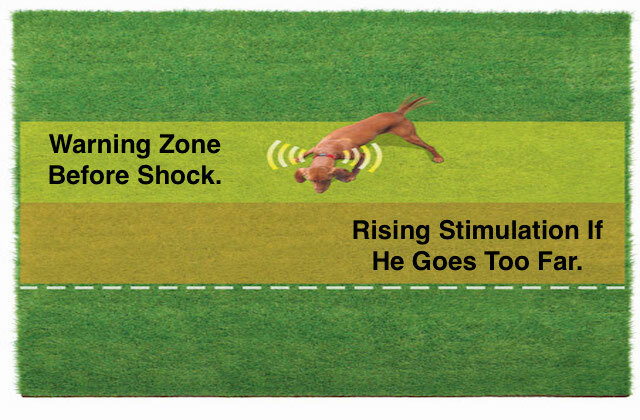 Different shock levels for different dogs. Eleven different correction levels start at levels so low they can’t even feel it. Plus, multiple frequencies, modulations, delay and sensitivity settings allow us to customize the collars to each individual pet, based on size and temperament. Anti-linger and progressive correction will stop your pet from hanging out in the boundary zone and running down batteries. Our “No run-through” feature, when activated, detects the speed in which your pet is traveling through the boundary zone. The further into the boundary zone, or the longer they stay in it, the higher the correction becomes. The receiver can be programmed in special situations to deliver an extended correction for up to extra 6 seconds if the pet develops a pattern of behavior where it bolts through the boundary. Safety “time-out” shuts off the shock for as long as your pet is in the boundary zone should he somehow stay in the signal for too long. 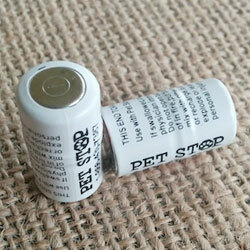 Low-battery indicator and easy test keeps you from guessing when it is time to change the batteries. Our Lightweight receiver collar weighs in at 1.3 ounces, making it a perfect fit for small breed dogs. We have one Yorkie that weighs only 2 pounds on our fence! Our receiver is that small and light. Waterproof – But we recommend you remove for your dog’s neck health if he is a swimmer. The collar receiver is encased in a high-impact ABS thermoplastic housing. It is 100% waterproof. Your dog can even swim without damaging the collar. Our containment systems can cover up to 100 acres (though we have only done up to 80). So even if your backyard is as big as a park, your pets can roam freely and safely, thanks to our advanced digital technology. Of course, it also works in the smallest of spaces to give your pet protection that’s completely adjustable and always reliable. And you’ll have multiple training options designed to suit your dog’s temperament, no matter the breed. As the industry leader, we’re dedicated to innovation and quality. That’s why our entire line of products was created specifically with your pet’s well-being in mind. Range adjustments to customize your boundaries. Multiple containment modes for each dog: warning beep only; warning beep then shock; Warning beep with immediate shock. Audible and visual wire-break alarms. Automatic adjustment for cold temperature signal adjustment to maintain a constant signal distance. e you after the sale. While another well-known company requires you to send them money every three or four months to maintain their expensive battery plan for their products, we don’t. You have a choice. You can buy the batteries and other products from us at our Overland Park parts store, or from our online store, or get them at a store or online vendors. 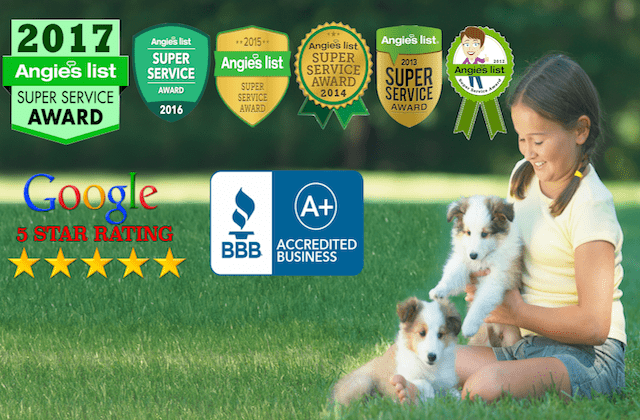 Plus, with our products, you will not have to rely on your dog telling you when it is time to replace the battery because it has left the yard. Instead, our receiver products warn you a week in advance with a LOW BATTERY INDICATOR light on the collar. Typically, you will need replacement batteries every 6 to 10 months. Take your pet’s protection to the next level with a Professional Lightning Protector. 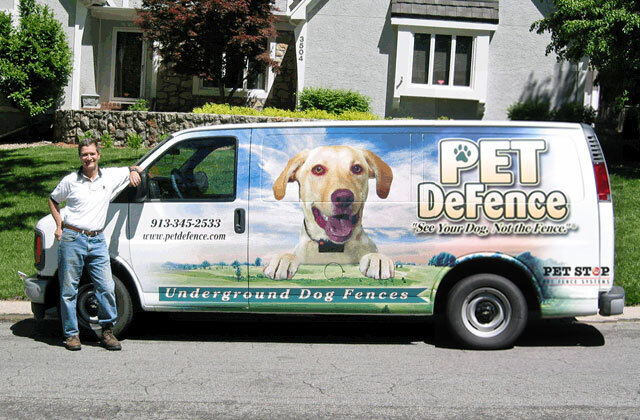 Always offered at every professional system Pet DeFence installs. When the unexpected happens – like lightning strikes or power surges – your pet’s fence transmitter and security could be at risk. With a Professional Lightning Protector, you can rest easy even during the most intense thunderstorms knowing that your containment system is safe from Mother Nature’s fury. And this means your pets are safe as well. 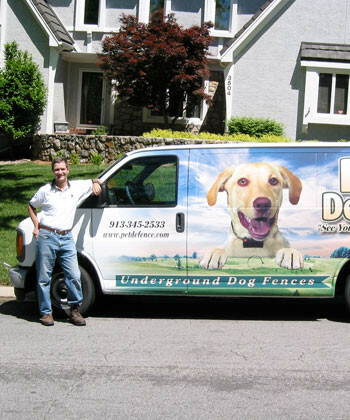 Our goal is to keep your pet safe at home. How could we do this if your transmitter is not safe from lightning and power surges? Safeguards your equipment against most surges. Completely disconnects AC power to connected equipment in the event of a catastrophic surge. Large capacity to dissipate surges. 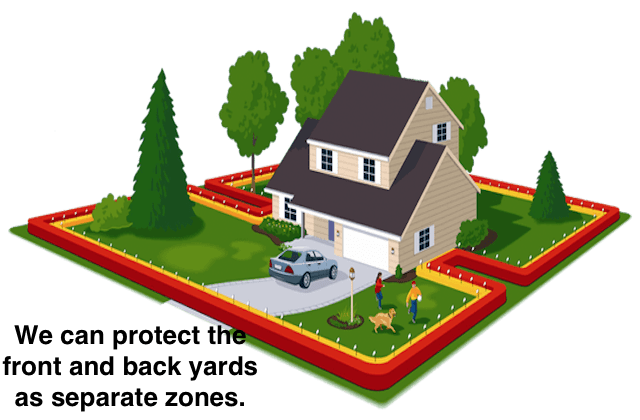 Reduces the risk of system failure by protecting the transmitter so it can continue to keep the pet inside the designated boundary zone. Space saving design plugs directly into the wall outlet. – Roger McCoy, President of Pet DeFence, Inc. Note: In some cases, product images may be representative only as physical appearances of products change over time. Descriptions remain valid regardless of image.